The recent espionage conviction of American citizen Roxanna Saberi by an Iranian court has little to do with her - she is merely a pawn in the politics of the Islamic Republic. Ms. Saberi was in Iran initially to do some reporting - she had valid press credentials issued by the Iranian government - and stayed on to do some research. She was arrested for purchasing alcohol, which is prohibited by Iran's Islamic law. The charges were then changed to reporting without proper accreditation, then finally to espionage. Not surprisingly, she was convicted in a one-day (her father claims it was about 15 minutes) closed trial. This is the first time that an American journalist has been convicted of espionage by the Islamic Republic. Ms. Saberi is not a spy. The Iranians know that and we know that. How do we now that? Simple - the United States does not use American journalists (or journalists working for American news organizations) in the conduct of its intelligence operations. Period. It is specifically and absolutely prohibited by U.S. law. The prohibition on using American journalists is one of the first things you learn in both the CIA and Defense Department intelligence operations (also known as "tradecraft") courses. Up until 2001, the prohibition on using journalists could be waived by the Director of Central Intelligence, but in 2001 the prohibition was made absolute via Section 306 of the Intelligence Authorization Act, more commonly known as the Richardson Amendment. There are other categories of people that cannot be used - they include members of the Peace Corps, clerics and certain types of U.S.-government sponsored scholars. These rules are made public to protect these groups of people when they are working in places unfriendly to the United States. So why did the Iranians charge and convict Ms Saberi of espionage? A look at the Iranian political landscape might provide a clue. There are elections coming in June - President Mahmoud Ahmadinejad is running for re-election. He has made noises that he is open to improved relations with the United States and the new American president. Not all of those in the Iranian leadership are supportive of this idea. The ultra-conservative judiciary - the ones who convicted Ms. Saberi - is mostly against improved relations with the West in general and with the United States in particular. The conviction of an American journalist will undoubtedly complicate Ahmadinejad's efforts to open a dialogue with President Obama. 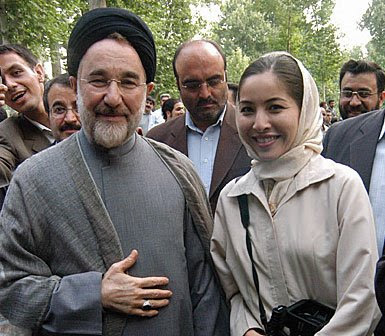 He knows that - he sent a letter to the chief prosecutor in Tehran urging him to ensure that Ms. Saberi is allowed to present a complete defense during her appeal. The Iranian president understands full well that no American president will be able to improve relations with a country that has just convicted an American citizen on obviously trumped up charges. Ahmadinejad's letter coincides with President Obama's remarks that Iran will gain American goodwill if it "responded positively in this case." That's "diplo-speak" for "fix this if you want your efforts to improve relations to go anywhere." It will be interesting to watch the power struggle in Iran. The result of that directly impacts on President Obama's ability to make any more overtures to the Islamic Republic. I suspect (and hope) that Ms. Saberi will be acquitted on appeal.